What’s that… on her hand? 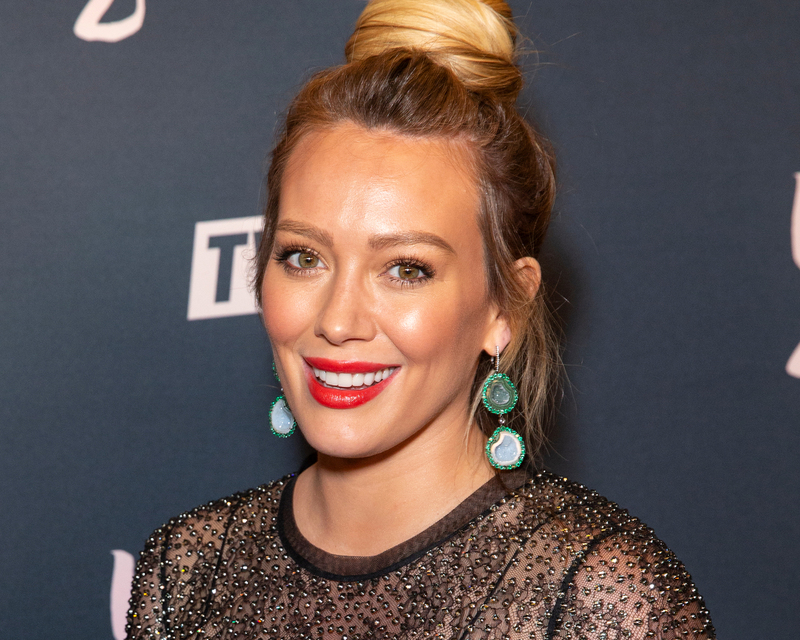 Hilary Duff sparked engagement speculation late Wednesday, September 12, after posting a photo of herself wearing a ring on her left hand and specifically, that finger. “This vintagey looking sparkly number from @foxandbond has me smiling today,” Duff wrote on Instagram alongside a selfie of herself flashing the piece in front of her face. On the website, the piece is listed under the engagement rings section. It’s a thick gold band with sunburst diamonds embedded throughout the ring. Immediately, fans wondered whether Duff’s boyfriend Matthew Koma had proposed to the Younger actress. Even family members like Haylie Duff and close friends like Debi Mazar commented under the image. While the couple has yet to confirm any engagement speculation, Koma did react to the photo by liking it. The Lizzie McGuire actress is currently pregnant and expecting her second child. It will be her first with Koma, a singer and a DJ. She is also mom to son Luca, whom she shares with her ex-husband, former NHL player Mike Comrie. Be the first to comment on "Hilary Duff Sparks Engagement Speculation With Gold Ring Photo"